Ryanair boss Michael O'Leary has reportedly written to every pilot who works for the airline offering them better pay to stay. The letter comes after a pilot rota crisis forced the airline to cancel thousands of flights. 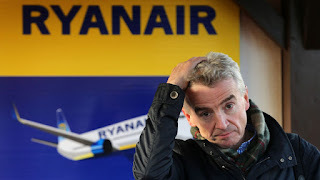 In the letter Mr O'Leary is said to have asked pilots not to abandon the company and offered them incentives to stay. He reportedly promised pay rises, a "productivity/loyalty bonus" and "significant improvements" to contracts and career progression. The promises follow a tumultuous month for the carrier in which it was forced to cancel tens of thousands of flights twice. The cancellations have disrupted the travel plans of more than 700,000 passengers.